Millions of people love animals and they also love taking pictures. And they definitely love taking pictures of “cute” and “exotic” animals. Such pictures are extremely popular on social media, where they can get thousands upon thousands of likes. In fact, some such photos have gone viral globally. 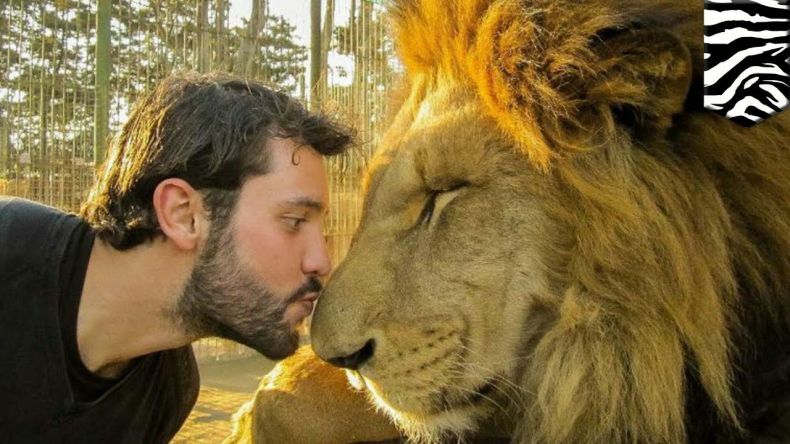 There’s just one problem: the practice of allowing people to pose for pictures with wild animals often entails plenty of animal exploitation and can even further endanger entire species. You may think that riding an elephant in Malaysia, posing for a picture with a captive tiger cub in Thailand, or photographing yourself with a young orangutan in Indonesia is nothing but harmless fun, but you would be wrong. Many of these animals, or their parents, have been taken from the wild and many of them endure years-long neglect, maltreatment and abuse in captivity. Encouragingly, however, at least some social media platforms are taking a principled stance against such exploitative photography. The photo-sharing site Instagram is one of them. The site’s representatives say they have started screening hashtags involving wild animals, from koalas to tigers, so as to identify and root out images that may have been taken while wild animals were exploited or abused. The social media platform has enlisted the help of several leading conservationist organizations, such as the World Wildlife Fund for Nature, TRAFFIC and World Animal Protection, in order to identify commonly used hashtags for pictures whose taking may have been associated with abusive behavior toward animals, including wildlife tourism. The use of any one of the hundreds of hashtags thus identified triggers a warning to users. The warning flashes onto the screen, alerting users. 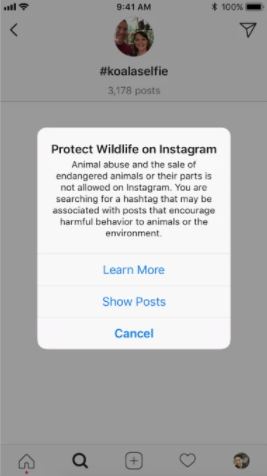 “You are searching for a hashtag that may be associated with posts that encourage harmful behavior to animals or the environment,” the warning notes in part. We second that call. Much of the wildlife trade is fuelled by people’s demand for “cute” and “exotic” animals to serve as props for selfies and other photos. If we stop providing that demand, the supply of wild animals for such purposes will likely stop too. Let’s all bear that in mind and stop taking photos of and with captive wild animals for fun.